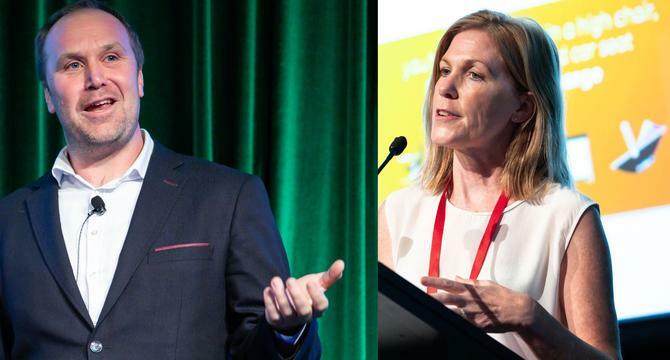 As previously reported in CMO, Jetstar’s multi-year journey to improve how it engages with prospects and customers saw the company bring on the full Oracle Marketing Cloud suite as well as a number of other point-based solutions and partnerships including Wavemaker, GroupM and Movable Ink. In addition, Wade has been working to build out a best-in-class marketing function that puts learning, agility and adaptive thinking first. Three priorities guide this approach: Deliver revenue, improve the health and performance of marketing, and prepare Jetstar for the future. To get there, Jetstar set up five streams of work: Content creation not ad production, deepening customer understanding, insourcing for effectiveness, aiming for customer experience improvements and excellence in digital marketing. Having cemented the foundations of team and technology, including an in-house creative team, Jetstar over the past 12 months has been moving through its channels of communication to improve marketing ROI using personalisation and more targeted advertising. As an example, Roberts pointed to work done combining paid and organic search, which saw revenues from search lift by 25 per cent. Getting there involved setting a ROAS (return on ad spend) target, building out a brand protection strategy, and connecting Jetstar’s data management platform [Oracle BlueKai] to its search efforts in order to undertake variable bidding for different audiences. The next channel cab off the rank was email. Annually, Jetstar sends about 800 million emails per year and claims its lifecycle marketing has at least 15 touchpoints from booking to travel experience. Jetstar’s emails have become modular with thousands of configurations, are being fired off dynamically based on trigger-based customer journeys, include user-generated content and are more visually appealing and relevant. “We really focused on growing our subscriber base, and we wanted to ensure we became more sophisticated with testing,” Roberts explained. “This wasn’t just subject lines, but propensity modelling, building modular templates of clear hierarchies and taking out loads of useless copy proliferating in our email channel. Jetstar then worked to improve display CPM and has seen this lift by 2 per cent as a result of more impactful testing, having a connected DMP, dynamic pricing, and strategy-based KPIs. One has been building deeper customer understanding. It’s work that’s seen Jetstar build a 60,000-strong customer panel, which in turn led to defining personas based on different feelings and emotions. As Roberts and Wade pointed out, a family travelling with two children will often feel trepidation, while a single individual flying with a friend for a weekend away is more excited. These personas have flowed into how Jetstar is approaching communications and are helping shift thinking to servicing customers. For instance, Roberts noted a trigger-based email program covering flight acquisition to seat allocation, pre-departure information, baggage check and online check-in, which all reflect persona-based insights through content and imagery. What’s more, the wins on the digital front are allowing marketing teams to push the boundaries and filter across the business. Wade said it’s using digital to fund other case studies that have been harder to prove in the past. So what did Jetstar do right, versus the mistakes along the way? On the positive side, Wade said it built a culture that made it OK to fail. “We have got good at testing, and celebrating failure as much as success,” he said. In addition, Jetstar has built deep, diverse skillsets, an ecosystem of connected technology, strong measurement, a great partner base and pace. “Data has been a total learning and transformation for our business. Not worrying so much about component but thinking about how the ecosystem has flexible componentry allows us to push new things, create personas and more,” Wade said. A big error, however, was not starting with the customer understanding first. A third lesson was in building a better architecture on how projects overlap through check-ins. “When you’re trying to move to agility, there’s a tension about how often you check-in… We under structured and meant we went slower,” Wade said.